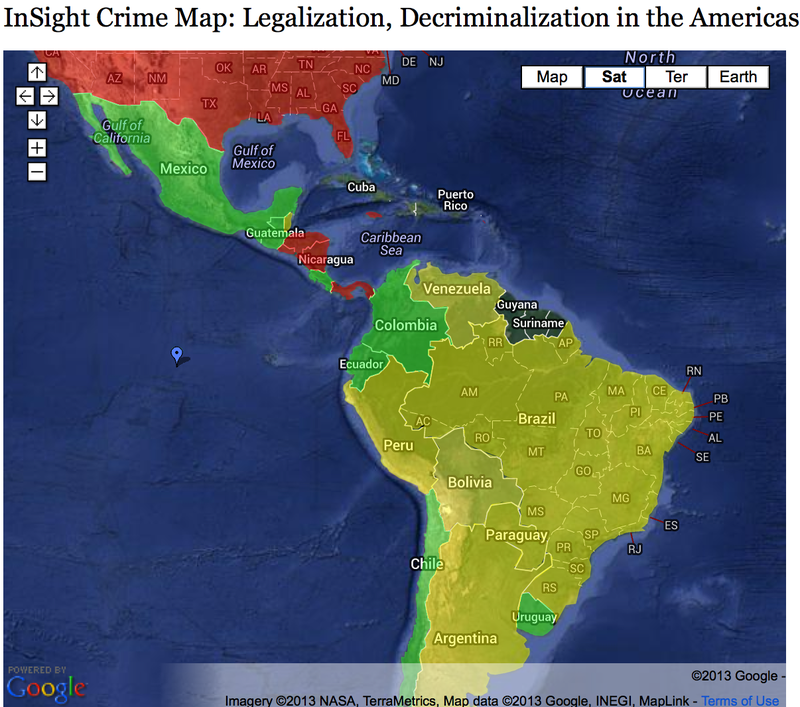 This map breaks down every country’s stated position on legalisation and decriminalisation of drugs in the hemisphere. It is in this context that Uruguay is set to enact historic legislation and become the first country to legalise production, distribution, and consumption of marijuana. The interactive graphic (below and here) was prepared by InSight Crime for the 2012 Summit of the Americas and includes background information and links. It is also downloadable here (pdf) as a chart. The Summit put the issue on the table but achieved little else. 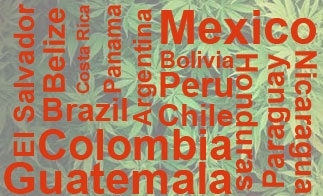 The Organization of American States (OAS) later issued a report outlining possible scenarios for the future of drug policy in the region. In one scenario, some governments in the region change their laws, while others maintain the status quo. The result is chaos and the formation of two blocks: one that is in favor of “legalization,” and one that is against it. This appears to be the direction the region is headed. While some states in the United States, most notably Colorado, have passed laws that are similar to that of Uruguay, the US federal government remains firmly entrenched in its longtime position against the legalization of marijuana. Most governments in the region continue to follow the US lead. There are similar contradictions in other countries as well, especially with regards to consumption versus production. While consumption is often “legalized” in small doses, production is outlawed. Uruguayan lawmakers in favor of marijuana legalization say they are addressing this contradiction in the legal code. The red countries in the map represent those who have publicly stated they are against both legalization and decriminalization of narcotics. The yellow countries are those that either have partial decriminalization laws or have argued in favor of this, but have said they are against legalization. The green countries are those who are open to debate on drug decriminalization and legalization. This entry was posted in Uncategorized and tagged Bolivia, Cocaine, Colombia, DEA, decriminalisation, Drug Lords, Drug Policy, Drugs, FBI, Guatemala, marijuana, Mexico, narc, Nicuragua, Peru, Police, Smuggling, south americas, United States, Uruguay, Venezuela, war on drugs. Bookmark the permalink.